[post_content] => Maggie Dixon has been re-elected and Suse Moebius has been elected for the first time to the Society of Homeopath's Board of Directors. In the Society's  first ever election by postal vote only, 19% of members cast their votes with the election closing on 6 April. Maggie will continue in the role she has filled since 2015 and Suse will take up her place at the 2018 AGM. Both terms will expire at the 2021 AGM. 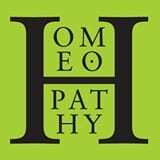 Maggie Dixon has been re-elected and Suse Moebius has been elected for the first time to the Society of Homeopath’s Board of Directors. In the Society’s first ever election by postal vote only, 19% of members cast their votes with the election closing on 6 April. Maggie will continue in the role she has filled since 2015 and Suse will take up her place at the 2018 AGM. Both terms will expire at the 2021 AGM.